To advance Choosing Wisely® across Tennessee, the Tennessee Medical Association (TMA) partnered with the Memphis Medical Society (MMS), Memphis Business Group on Health (MBGH), the Healthy Memphis Common Table (HMCT), the Physician Advisory Committee of MMS and Healthy Shelby, a county-wide, Triple Aim, community health improvement project. The target of TMA’s campaign was the large physician membership of the Methodist LeBonheur Healthcare system (six hospitals) and the Baptist Memorial Health Care system (six hospitals). TMA also promoted the campaign to the University of Tennessee College of Medicine to disseminate amongst its medical students and residents. 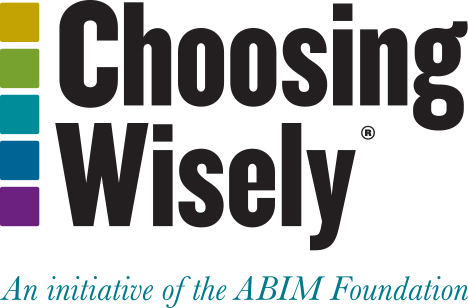 Finally, it partnered with the Tennessee Chapter of the American College of Physicians (ACP) to promote both Choosing Wisely and the ACP High Value Care initiative to not only the Tennessee ACP membership, but also to the Tennessee health insurance industry (particularly BlueCross/BlueShield of Tennessee). TMA also made a major effort to reach consumers and employees through its partners, the MBGH and HMCT. HMCT also emphasized Choosing Wisely to its Robert Wood Johnson Foundation (RWJF) Aligning Forces for Quality primary care physicians. A spotlight article in the May 2013 TMA Journal, another in the Winter 2013 MMS Quarterly Magazine, and a follow-up article in the Summer 2013 issue. In the second year of the grant, TMA increased its efforts to make Choosing Wisely part of the internal communications vehicles for both the Baptist Hospital system and the Methodist LeBonheur Hospital system. TMA also increased efforts to make the campaign and cost awareness part of the medical school and residency curricula. There were plans to find partners and funding to attempt to measurably reduce overuse of tests, procedures and treatments. Efforts to educate consumers and primary care doctors through MBGH and HMCT continued. TMA also provided assistance to other local medical societies and medical education institutions as they promote Choosing Wisely and related educational programs. The Tennessee Medical Association is a professional organization for doctors dedicated to protecting the health interests of patients and enhancing the effectiveness of physicians throughout the state.